Hi all and thanks for stopping by. This is my first attempt at a Blog page so go easy on me. As you can guess I am an Amateur radio operator from my blog title. My main interests are HF operating, mainly SSB, but do get involved in some digital modes as well. Since moving to Narre Warren I have been able to increase my activities and now am working on VHF and UHF SSB. Recently I have become active in SOTA operation and plan to use this blog to document my activations. 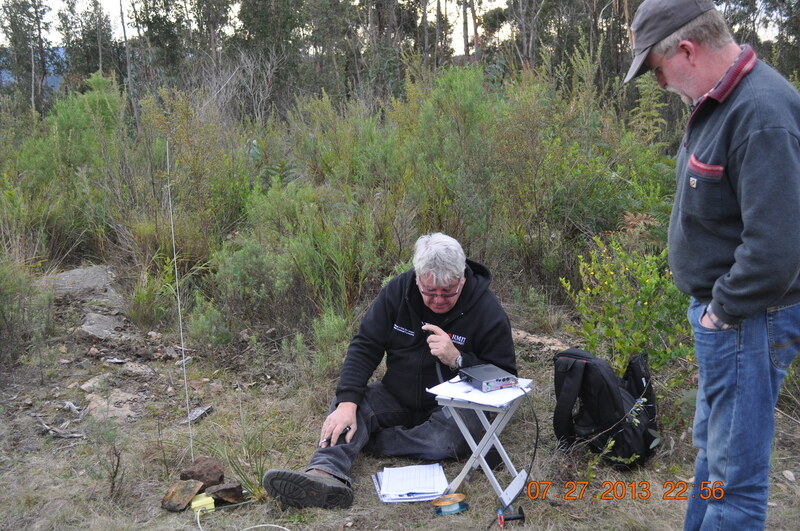 The picture above is me operating from Mt Johnston (VK3/VG122) in East Gippsland. Kieren VK3BTV ( Bad Tempered Victorian) looking on.